Australian band, Air Supply, came to Bali. Air Supply coming to Bali in order to tour the world, titled Journey of the Legend. Promises an unforgettable performance. Originally they had planned to come to Indonesia. 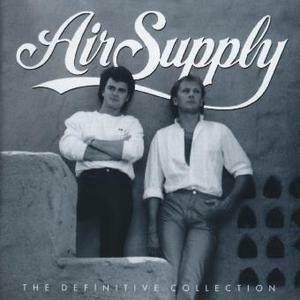 However, no known reason, the arrival of Air Supply canceled. But today they will come to Indonesia, and performed in Bali. Through concerts labeled Air Supply World Tour Asia 2013 Journey of the Legend, Graham Russell and Russell Hitchcok began his tour at the Stone Hotel, Bali, starting this Wednesday, May 1, 2013. British-Australian soft rock duo was featured for two hours. They performed his hit songs. As is known, this is not the first time on stage in Indonesia Water Supply. Previously, Air Supply concert ever held in Surabaya and Jakarta (23 to 24 November 2000), Jakarta and Medan (12-13 August), 2003, and Balikpapan (December 14, 2004). And on tour this time, Graham Russell and Russell Hitchcock will perform in three cities in Indonesia, namely in Balikpapan (May 3), Pekanbaru (May 4), and Bandung (May 5). After Bali, Air Supply will perform at Balikpapan, precisely in Borneo Ballroom Novotel, on May 3. After that will appear in Ballroom Pangeran Hotel Pekanbaru, on May 4, 2013. And their concert will end at Trans Convention Center, London, on May 5, 2013.